Yesterday Human Rights Watch (HRW) released a new 50 page report on Uganda documenting an influx of government attacks on organizations whose focus includes oil revenue transparency, land acquisition compensation, legal & governance reform, and protection of human rights. Doka Oringtho Musa: When Museveni wants to use the Army to steal elections, he does not need the Civil Society monitoring his activities. Uganda’s government is putting serious pressure on civil society, particularly on organizations that might be seen as infringing upon the officials’ political and financial interests. Civil society should have space to conduct research and take part in policy debates without fear of government reprisals. (Nairobi) – Research and advocacy organizations inUganda that deal with controversial topics are facing increasing harassment by Uganda’s government, Human Rights Watch said in a report released today. Groups have recently faced forced closure of meetings, threats, harassment, arrest, and punitive bureaucratic interference. The Ugandan government should end its hostile rhetoric and repeated obstructions of nongovernmental organizations, Human Rights Watch said. The 50-page report, “Curtailing Criticism: Intimidation and Obstruction of Civil Society in Uganda,”documents increasing government attacks on organizations whose focus includes oil revenue transparency, land acquisition compensation, legal and governance reform, and protection of human rights, particularly the rights of lesbian, gay, bisexual, and transgender (LGBT) people. Both government ministers and district-level officials have engaged in obstruction, Human Rights Watch said. President Yoweri Museveni, in office since 1986, is widely believed to be gearing up for yet another term. Since his re-election in 2011, political tensions have been running high and public criticism of government has escalated. To better control this environment the ruling party’s high-ranking government officials are increasingly scrutinizing nongovernmental organizations and the impact they might have on public perceptions of governance and management of public funds, Human Rights Watch found. This report is based on research carried out by Human Rights Watch staff throughout 2011, as well as in-country research from May to July 2012, and a review of Uganda’s nongovernmental regulations and other relevant laws. Human Rights Watch interviewed 41 people, including 25 representatives of organizations working on a broad range of thematic work and from around the country, as well as donors, police, and government actors. The operations of nongovernmental organizations in Uganda are regulated by the country’s NGO Act, which requires organizations to register with the government’s NGO Board, managed by the minister of internal affairs. Members of Uganda’s intelligence services sit on the board to monitor civil society activity. In this way, organizations are treated as possible national security threats. The NGO Act as amended in 2006 restricts operations of nongovernmental organizations through lengthy and convoluted registration requirements and confusing procedures that groups are expected to comply with in order to receive permission to conduct research. In April 2009 eight organizations filed a challenge to the act before the Constitutional court, arguing that some provisions are inconsistent with the constitution, the International Covenant on Civil and Political Rights, and the East African Community Treaty. The case is yet to be scheduled for a hearing. 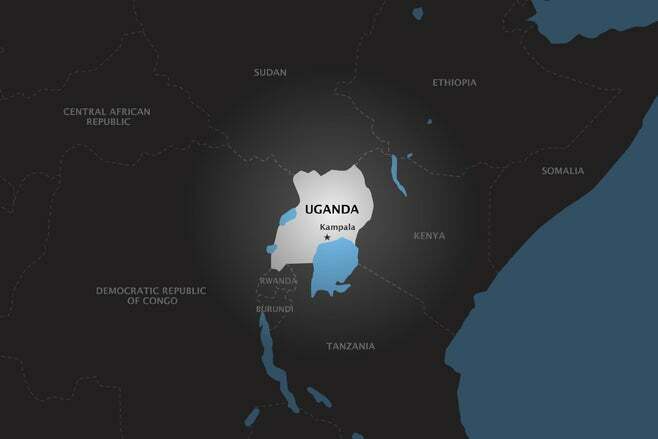 A large number – perhaps thousands – of nongovernmental organizations operate in Uganda. The government allows some groups, particularly those involved in service delivery, significant latitude. But oil transparency, land, governance, and human rights groups have had an increasingly difficult time both carrying out their work and advocating for change in public forums, Human Rights Watch found. In 2010, the Ministry of Internal Affairs and the leadership of the nongovernmental organization sector negotiated an NGO Policy, a generally positive document that is an important step in addressing civil society concerns. But the government has not formally put the policy into operation and it holds no legal weight. Recent actions of the government’s NGO Board betray the aspirations of the policy. For example, in June 2012 the board told one organization working in governance and oil revenue transparency to desist from participating in “loose unregistered coalitions.” The NGO Policy specifically states that “clusters, networks or umbrella organizations” should be strengthened. The nongovernmental organization laws are silent on how or if coalitions must register as a legal entity. In May 2012, the government ordered the NGO Board to carry out an investigation into the research of a group that documents unlawful land acquisitions. The board, acting outside its legal mandate, recommended that the organization should apologize for a report it issued about the subject and withdraw it, or face deregistration. Another group working to help local communities receive fair compensation for land used in a large-scale electricity project was said to be “bordering on sabotage of government programs” by the government agency involved in the project. The government requires any organization to seek written permission from the permanent secretary of the Ministry of Energy and Mineral Development each time they seek to visit the oil region, even though no law or publicly available policy requires them to seek such permission for the visits. These policies and practices obstruct access to affected communities and inhibit research and advocacy on oil accountability and transparency. At the same time, the government’s hostility to, and harassment of, Uganda’s LGBT community and its leadership is unabated. Government officials demonizing homosexuality are targeting a vulnerable community and deliberately misinforming the public, stirring hatred, and diverting donor attention. LGBT organizations are forced to operate on the margins because criminal laws on homosexuality prevent them from legally registering with the NGO Board. In the last few months two workshops focused on advocacy for the rights of LGBT people have been forcibly shut down by police at the behest of the minister of state for ethics and integrity, though there is no basis in law for such actions. In one instance activists were temporarily detained. The minister has stated unequivocally that organizations supporting the rights of LGBT people will be deregistered. With the public’s frustrations with the ruling party leadership since the February 2011 elections, many see the government’s relentless focus on the alleged threat of homosexuality as a facile populist strategy to gain support. The LGBT community in Uganda remains deeply vulnerable to public harassment and violence. Organizations told Human Rights Watch that they fear that the hostility toward the LGBT community will be used to slander human rights organizations and undercut their work in all areas. Given the increasingly challenging operating environment, staff and representatives of nongovernmental groups expressed serious concerns about their ability to maintain their research, advocate positions on controversial issues, and protect their employees. Representatives of these groups told Human Rights Watch that they fear they will not be able to carry out their mandates due to the hostile environment, and some acknowledged that they have begun to censor their own work to maintain some level of operations. The government of Uganda should change its approach to all nongovernmental organizations, especially those working on sensitive or controversial subjects, and improve the operating space for all civil society, Human Rights Watch said. The government should rein in hostile rhetoric, amend laws that treat nongovernmental organizations as possible threats to national security, and publicly support the essential role of civil society. In turn, Uganda’s international partners, especially those considering funding the NGO Board, should actively voice their concerns about the need to end unjustifiable interference in civil society operations. F*ckin’ tremendous issues here. I am very satisfied to see your article. Thank you so much and i am taking a look ahead to contact you. Will you please drop me a mail?